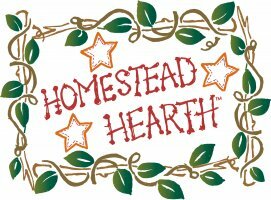 If for any reason you are not satisfied with a purchase from us, please contact Homestead Hearth within 14 days of purchase and we will refund the purchase price of the product less shipping and less a 25% restocking fee. There are no returns on cut fabric, yardage or fabric bundles. Also, please remember that there are no returns or cancellations of block of the month programs. Once you have started a block of the month program, you are obligated to participate in the program until it is concluded. Due to copyright laws, there are no returns on books, patterns or magazines. Please contact our customer service representatives at 573-581-1966 for a return authorization code. The product must be returned in its original condition, in original packaging, to the following address: Homestead Hearth, 105 N. Coal, Mexico, MO 65265.